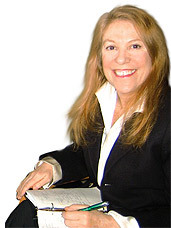 "The #1 Agent of Change"
For over 35 years, Nancy L. Donenfeld, M.A. has helped many thousands of people change habits and attitudes with the groundbreaking Donenfeld Method of hypnosis, hypnotherapy, psychotherapy and brief therapy. She effectively helps individuals and groups address smoking, weight, sleep, motivation, confidence, depression, stress, sports, fears, skills, relationships, memory, drinking and other self improvement, health and personal well being challenges. comfortable, easily accessible office in NYC.